A little confused as to what our Enviro Smart Mineral Pools are? That’s why we are uncovering all in our 2 part blog post series that gets to the bottom of just what our Enviro Smart pools are and do. If you hadn’t already guessed from the name, they are a different concept in swimming pools, one that is designed to be more environmentally friendly – a patented system that we came up with and are proud to install in backyards in Sydney and surrounds. Read on to learn more about our Enviro Smart Mineral Pools and what benefits they offer as compared to a regular swimming pool. What is mineral infused bathing? Mineral infused bathing is the concept of bathing in water enriched with minerals, minerals that help to relax a tired body, leaving you to feel replenished afterwards. This means adding natural minerals to the pool water to help deliver a healthy way of bathing. How are Enviro Smart pools different? Like there is a difference between regular, chlorinated swimming pools, and saltwater swimming pools, there is a difference too between these types of pools and the Enviro Smart pools. In fact, the Enviro Smart pools offer owners up to 90% fewer chemicals than either chlorinated or salt water swimming pools – which also makes the choice safer for your skin. How do the savings come in? The Enviro Smart Mineral Pool is a different type of pool system that allows people to have all the benefits of a regular pool but with better savings on their energy and water bills. In fact, at Blue Haven, we predict that you will be able to save up to 80% on the cost of the ongoing operating expenses of your swimming pool! That’s because you are saving on the cost of putting those extra chemicals into your pool that you would if you were to have a regular chlorinated pool. This method of cleansing your pool is based on the mineral water foundation that you’ll find in mineral pools around the country. The Enviro Smart pool system itself has been patented by Blue Haven and represents a different way of keeping your pool liveable and swimmable. Be sure to keep reading in part two of our series about our Enviro Smart pool. If you are tossing up between what type of pool you’d like to get – then this is a must read series. 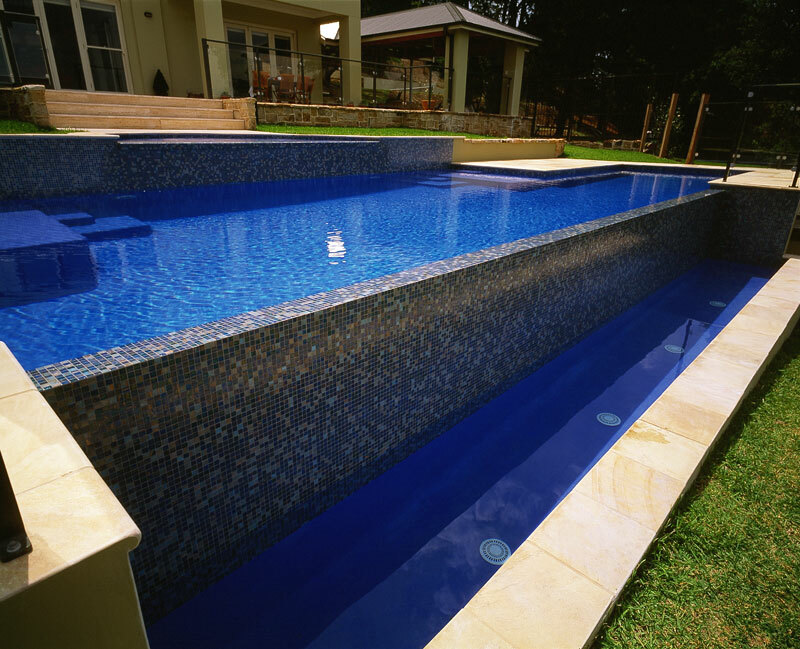 We are the only providers of the Enviro Smart pool system in Australia – because we developed it ourselves! It’s the pool system that not only saves on your energy bills, but is softer on your skin, and it’s provided by us exclusively.